Early supporters of the cause of liberty, New Jerseyans were witnesses to over 200 Revolutionary War skirmishes as the French, British and American armies traversed the state numerous times. Morristown, the county seat of Morris County, is known as the “Military Capital of the Revolution”, having hosted General George Washington and the Continental Army during two winter encampments, in 1777 and 1779-80. Washington hoped to mount an attack that could end the Revolutionary War or march onward and away from the Redcoats in January 1777. He and his troops had just booted the British out of Princeton earlier that month. Washington mulled the idea of launching an attack on New Brunswick, delivering a knockout blow to the main British supply depot only 19 miles away. But his 3,000 weary soldiers had been fighting for 40 hours, and they were cold, exhausted and famished. A little rest and regrouping sounded good. So they marched onward and on Monday, Jan. 6, 1777, about 5 p.m., they entered Morristown, putting the rustic village on the map. Two winters later he returned with 12,000 troops, who built a log cabin city a couple of miles down the road in Jockey Hollow. Washington chose this time to stay at the grand Ford Mansion. During these two winters, the army rested, repaired its artillery, and restocked its munitions. Local iron mines, furnaces, and forges fabricated guns and musket balls for the army, and secretly and unlawfully produced gunpowder. The soldiers were drilled and the generals planned their spring campaigns. 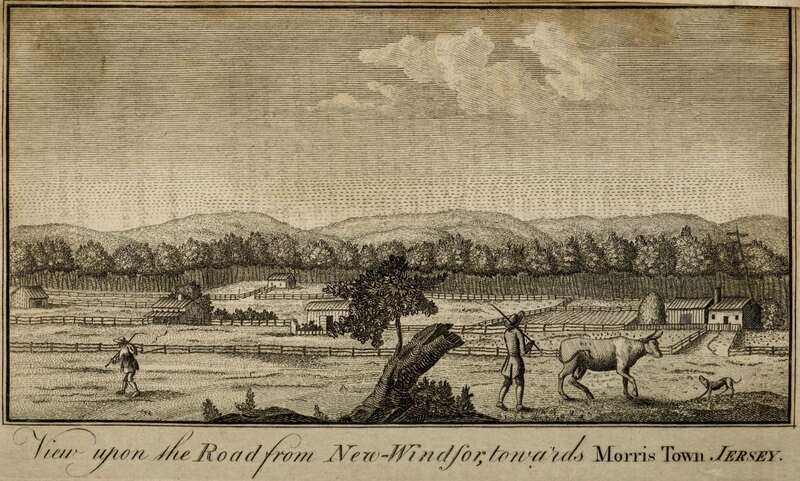 Historians feel that the Continental Army benefited greatly from its two winter stays in Morristown, where the safety of the surrounding mountains provided a haven from the British for the army to strengthen itself. And it was rich in natural resources like water and forests, and came with a patriotic population that helped feed and clothe the army. 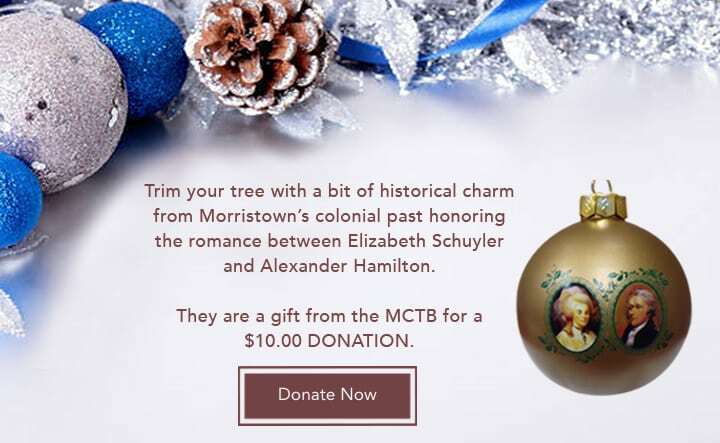 Now, more than 230 years later, those winter stays are not only a source of pride in hip Morristown, they help fuel the local economy through tourism. Morristown’ is nationally known as the country’s first National Historical Park with the Ford Mansion, Fort Nonsense and Jockey Hollow which draws some 350,000 annual visitors. Many prominent American Revolutionary figures visited Morristown during the two winters, including most of Washington’s generals. Alexander Hamilton and Martha Washington accompanied the General to Morristown. 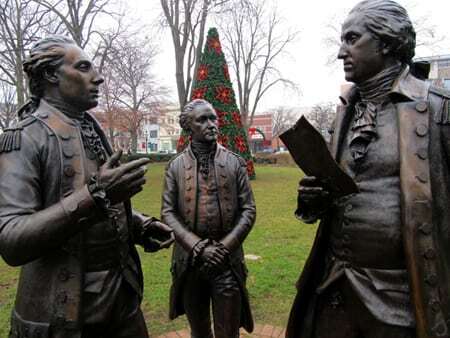 The Marquis de Lafayette came to Morristown with the news that the French would be supporting the American army with money, ships and soldiers, thus ensuring American victory. Benedict Arnold was court-martialed in a Morristown tavern, and shortly after this humiliation, he began formulating his plot to aid the British by handing over West Point, becoming the notorious American traitor he is known in history for being. After the Revolution, the local economy began to evolve from a rural society to a light manufacturing center with the iron furnaces and forges contributing in the pre-Industrial Revolution time period. 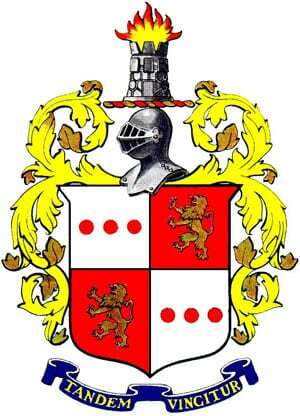 Locally, the Vail family of Morristown supported Samuel F.B. Morse in developing the first electromagnetic telegraph, a device that forever changed the way people communicated from days to mere minutes. 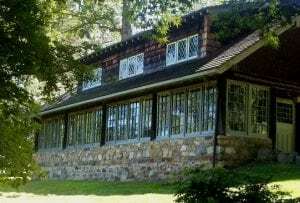 Known as the birthplace of modern telecommunications, the Speedwell Avenue property is part of the Morris County Park System and called Historic Speedwell. The story of telecommunications told here gives little known Alfred Vail — the inventor son of an industrialist and judge — his due. Samuel F.B. Morse conceived the idea for the machine in 1832 before meeting Vail three years later and nailing down financial backing from Vail’s father. Alfred Vail is credited with the mechanical workings of the telegraph that spelled out the messages being sent over the wire. Now a historic landmark site, the Speedwell Iron Works also produced the engine parts for the S.S. Savannah, the first ship to make an Atlantic Ocean crossing utilizing steam. The year was 1819. Another important Morristown resident, George Perrot Macculloch, was fishing on Lake Hopatcong one day, and realized that a canal system with locks could be built the width of New Jersey, from the Atlantic Ocean to the Delaware River, 102 miles, and he spearheaded the effort to build the Morris Canal so that iron and farm products could travel from Pennsylvania to New Jersey. Opened in 1831 and utilized for 100 years, the canal contributed to the success of New Jersey as an important manufacturing center during the Industrial Revolution. His home, Macculloch Hall Historical Museum, is both a historic house and museum of fine and decorative arts. Serving as a prominent family’s residence for five generations, the Old House saw its share of politicians, military heroes, business entrepreneurs, and artists. Built by George Macculloch beginning in 1810, Macculloch Hall uses one of the finest collections in New Jersey to represent the development of design, technique, & aesthetic taste of America and England in the 18th and 19th century. 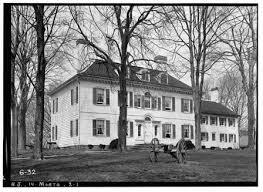 One of George Macculloch’s neighbors was the nationally famous political cartoonist, Morristown resident Thomas Nast. Nast’s drawings for Harper’s Weekly during the Civil War helped illustrate the war for millions who received war news from magazines and newspapers, before television, radio and CNN. Nast is known for his iconic drawings of Uncle Sam, Santa Claus and the Donkey and Elephant that symbolize the two major American political parties. Nast’s home is privately owned, and is a national landmark. There were other industrialists in and around the historic town. In fact, between 1880 and 1929, there were more millionaires living within a three mile radius of Morristown than anywhere else in the country. The barons and bluebloods included names such as Colgate, Mellon, Rockefeller, Vanderbilt, and Ballentine. Parsippany resident and Mission furniture innovator, Gustav Stickley, was also a Morris County resident. The Stickley Museum at Craftsman Farms located in and owned by the Township of Parsippany-Troy Hills, is the former home of noted turn-of-the-century designer Gustav Stickley, a major proponent of the “Arts and Crafts” home building and furnishing. The log house, built in 1911, is one of the most significant landmarks of the American Arts and Crafts movement, and the site, which consists of 26 acres of the original 650-acre tract, has been designated a National Historic Landmark. Craftsman Farms is also an Official Project of Save America’s Treasures, a public-private partnership between the White House Millennium Council and the National Trust for Historic Preservation dedicated to the preservation of our nation’s irreplaceable historic and cultural treasures for future generations. Another important building in Morristown is the County Courthouse, built in 1827 and still being used today as a courthouse. If you visit the interior, the main courtroom is decorated and preserved as it was 180 years ago. The long sticks that bailiffs used in the 19th century to maintain order in the courtroom, still hang on the wall. In this courtroom was held, in 1833, the trial of Antoine LeBlanc, a French immigrant who was tried and convicted of Morris County’s first, last and only triple murder. LeBlanc murdered Mr. and Mrs. Samuel Sayre and their servant girl, Phoebe, now Morristown’s most famous girl ghost. LeBlanc was sentenced to die by hanging on the Morristown Green. He was hung there with onlookers numbering about 10,000. The story is documented further in Weird, NJ. Look it up. 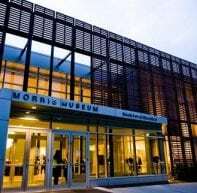 Today Morris County is home to many cultural institutions as well. As a vibrant educational and cultural center in New Jersey, the Morris Museum was recently awarded the Murtogh D. Guinness collection of 700 historic mechanical musical instruments and automata (mechanical figures) and more than 5,000 programmed media, ranging from player piano rolls to pinned cylinders in 2003. The extraordinary collection represents one of the most significant of its kind in the world. The museum recently unveiled a permanent installation of the spectacular exhibition Musical Machines & Living Dolls: Mechanical Musical Instruments and Automata from the Murtogh D. Guinness Collection in November 2007 in a brand new 4,300 square- foot gallery. The new exhibition features more than 150 pieces from the spectacular collection and takes visitors on a journey through the history of on-demand musical entertainment. Additionally, the New Jersey Shakespeare Theatre is one of 22 professional theatres in the state. One of the leading Shakespeare theatres in the nation — serving 100,000 adults and children annually — it is New Jersey’s only professional theatre company dedicated to Shakespeare’s canon and other classic masterworks. Through its productions and education programs, the company strives to illuminate the universal and lasting relevance of the classics for contemporary audiences. The annual Main Stage season, presented in the intimate, state-of-the-art F.M. Kirby Shakespeare Theatre in Madison, runs May through December. An Outdoor Stage production is presented each summer at The Greek Theatre, an open-air amphitheatre located on the College of Saint Elizabeth campus in nearby Morris Township.